On a personal note, we are so excited to finally be adding family portrait sessions back into our business plan. 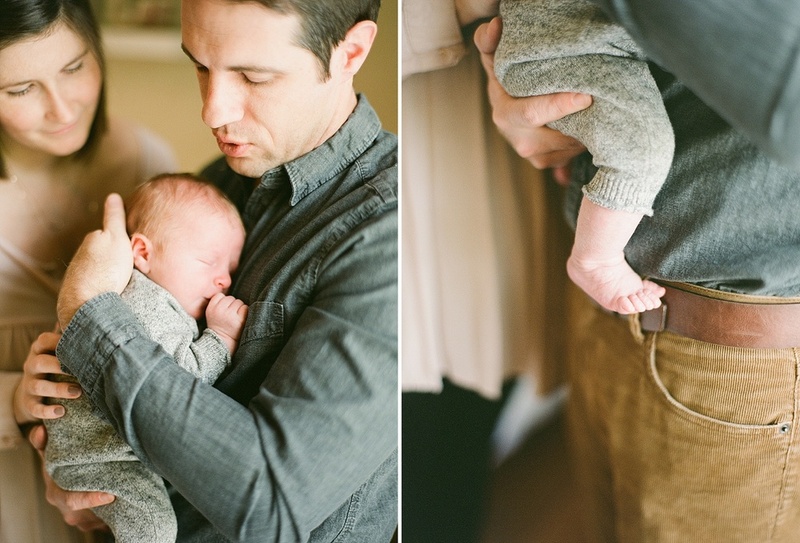 We took a while off while we concentrated on our wedding niche but there's nothing like photographing a sweet newborn and family all on film. Mr. Samuel Austin Myles was born on February 18th, weighing 9lbs 11oz. The Myles family was already one of the sweetest, most caring families that we have ever met. Honestly. Instead of a 70 inch flat screen as the main decor of their living space...there is a baby blue piano where Dad (a musician) and sweet Mae play together. Instead of Frozen dolls strewn across the room there were two sweet vintage mice dolls that Mae had so perfectly named Mae and Sam. It is our hope that as you take a look at the below photos that you hear the soft music playing in the background. It's our hope that you sense this family's respect for quiet, beautiful moments spent together. Congrats, Kathy + Jon. You guys are awesome and we are so envious of your genuine and bright lifestyle. Much love, you two! Shelby + Stevens Are Expecting!